When it comes to medical diagnostics and imaging, nuclear medicine plays a crucial role. It is a method of administering radioactive substances to locate and effectively treat disease. With regard to cancer, nuclear medicine is invaluable, giving doctors the ability to gather information about both structure and function. Additionally, it can diagnose disease during very early stages—much earlier than other imaging procedures—giving a much better chance of full recovery. Nuclear medicine uses radiopharmaceuticals, which are administered to the patient intravenously. 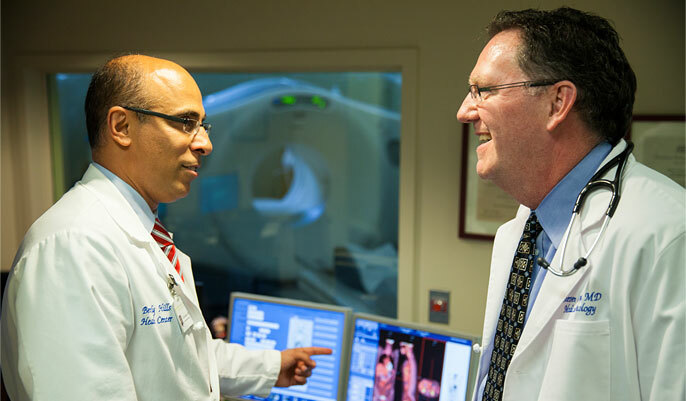 Once in the patient's blood stream, the radiopharmaceutical will travel to specific organs. When this occurs, special types of cameras work with computers to provide highly informative pictures about the area being imaged. Nuclear medicine detects the progress of a disease based upon cellular function and physiology. With other radiation-based imaging services, disease progress is detected from the outside in, and is based upon physical changes in the tissue anatomy. In this sense, nuclear medicine is radiology done inside out and could also be called endo-radiology. It records results based upon radiation emitting from within the body, as opposed to radiation entering from an external source, as is the case with X-rays. Nuclear medicine can be used for many different types of cancer. At Optima Diagnostic Imaging, a top Beverly Hills imaging center, we provide a multitude of nuclear medicine services, using them as necessary in conjunction with any other appropriate treatment. Our expert technicians will ensure your total comfort, guiding you through the entire process with ease and compassion.